1. Do three washes. “Un been shampu” [a good shampoo] is essential to making your blowout shine and last. You want to make sure you get all the gunk out from your scalp, and the leftover buildup on hair that can ruin your style. 2. Prep your hair. Deep conditioning will keep your hair healthy and moisturized and able to handle the intense heat that will follow. Ana recommends the Silicon Mix Bambu Nutritive Hair Treatment, which is imported from the Dominican Republic. Apply from root to ends and leave in for five minutes, then rinse out thoroughly. 3. Blow-dry hair. Section off your hair and start in the back, the trickiest area to blow-dry. Working with two-inch pieces, use a high-heat blower (Ana suggests Solano because they get super HOT, which you need for the best smoothing resuts!) with a focused nozzle to help concentrate the hot air to smooth out kinks and a big round boar bristle brush to blow-dry hair. Positioning the dryer one inch away from your hair and the brush on top of the hair, pull the hair taut working the brush and dryer down the hair shaft from root to ends. Alternate placing the brush under and over the hair, then, for bouncy movement, roll the hair around the brush over and over again while blasting with hot air. Once the hair starts slipping out of the brush then you know the hair is completely dry and smooth and you can move on to the next piece. 4. Finish with a tiny bit of shine spray. To make your blowout last, use just a bit of shine spray from mid length to ends and just over the top layer of hair. Try: OGX Brazilian Keratin Therapy Shimmering Keratin Oil. Yesenia Almonte is an experienced Editorial Beauty Director in New York City. She is widely recognized for her expertise in developing unique beauty content for a variety of top—selling publications that span a broad range of multi-media platforms. Yesenia has the ability to conceive, construct and transform beauty trends into personalized creative recommendations for diverse markets. She has comprehensive knowledge of the teen and Hispanic markets and has created a number of revenue-generating editorial packages across different mediums. Throughout her career, she has initiated collaborations with some of the foremost innovators in the creative industry, including Pat McGrath, Kenneth Willardt, Ondrea Barbe, Sarah Silver, Serge Normant, Orlando Pita and Gucci Westman. Yesenia was most recently the Beauty Director of Seventeen. During her tenure at the magazine, she entirely redeveloped the magazine’s beauty editorial and direction by expanding and diversifying its content through creative and innovative features and looks, while also providing increased visibility to a broad range of beauty brands. 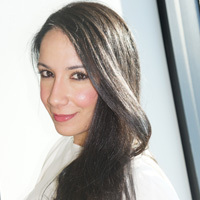 In addition to overseeing the beauty content across all of Seventeen’s platforms, including seventeen.com and misquincemag.com, she created the massive multi—platform beauty franchise Seventeen’s Beauty Smarties, an initiative whereby real girl YouTube beauty vloggers create exclusive looks for the magazine and online videos. Since it’s inception, the Beauty Smarties franchise became a successful YouTube show, The Seventeen Beauty Smarties Showdown and became the backbone to the launch of Seventeen’s multichannel network on YouTube in partnership with AwesomenessTV. Yesenia edited Seventeen’s Ultimate Guide to Beauty, an in-depth how-to guide, and helped develop Seventeen’s extensive digital tool, the Seventeen Shopping Insider app. In an effort to reach readers everywhere, Yesenia also created customized beauty specials targeting the Latina and African American teen market, which have resulted in record-breaking advertising revenue for the magazine. Prior to joining Seventeen, Yesenia served as Beauty Director of Latina Magazine, where she curated the beauty content for the Hispanic woman via the magazine and website. At Latina, she also developed Latina Beauty, a Walmart-only special interest publication for the Hispanic woman.